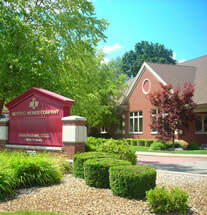 Milham Commons West, 941 W. Milham Ave. in Portage MI is a 13,861 sq. ft. office / service building that has maintained near full occupancy since its inception. The prime visibility at the northwest corner of Portage Commerce Square has served its occupants well over the years.